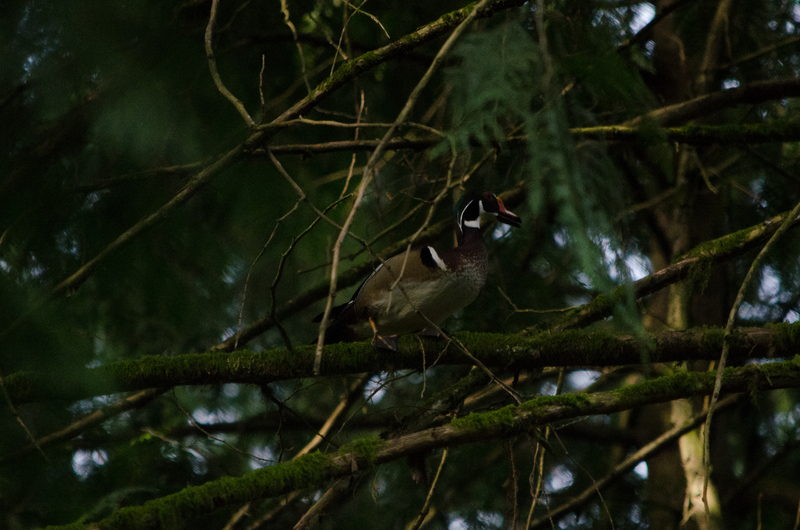 In early May, I ventured out to Tualatin Hills Nature Park; this location is one that I hit more frequently than others out of convenience, but it never disappoints me. There is always something to see, and surely the warm spring weather was going to encourage some active birds! 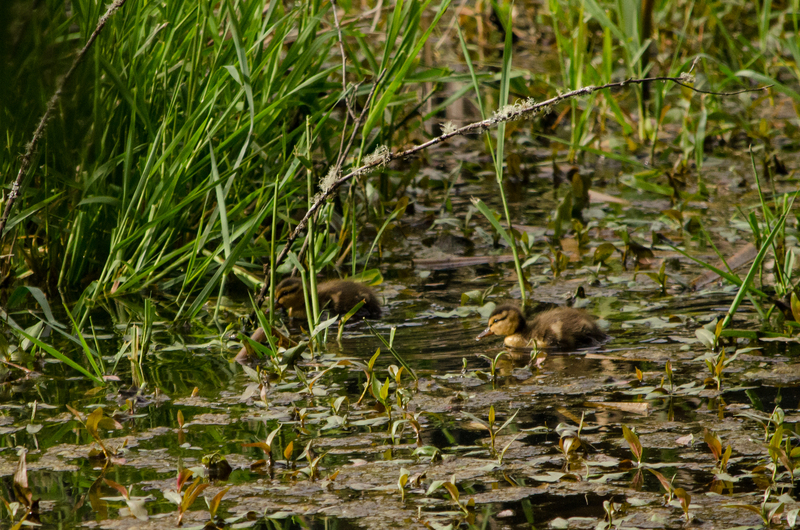 Actually, there were already new little ducklings to be found! 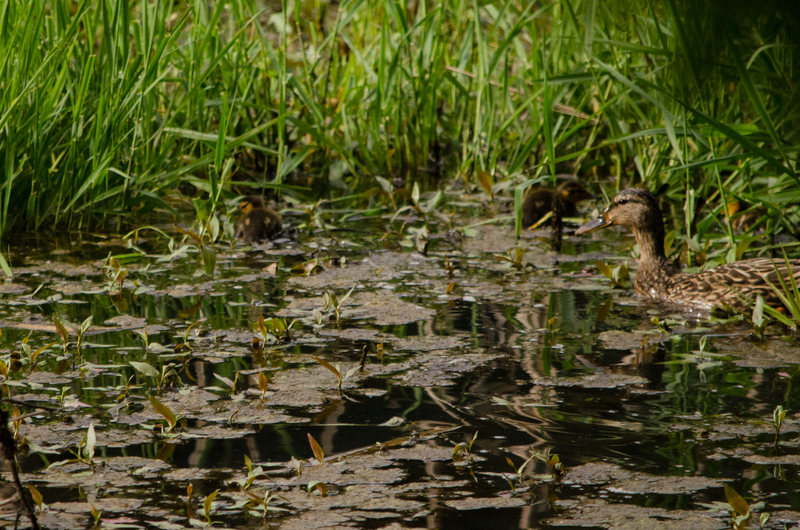 Not far from the wood ducks, this mama mallard was minding her fuzzy little flock. Who can resist something so cute? Certainly not me, and I spent a good amount of time watching them paddle about the pond. 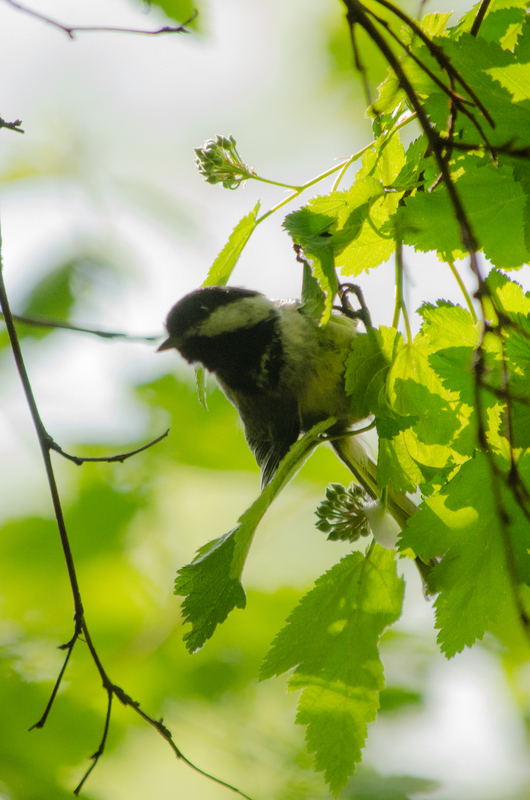 Scanning movement among bright green leaves found me several of my regular sightings, including black-capped chickadees and bushtits searching for insects. The dim understory light combined with their fast movements can make capturing their image a challenge, but I did manage a few snapshots. A flash of yellow caught my attention, and my first thought was ‘goldfinch’. 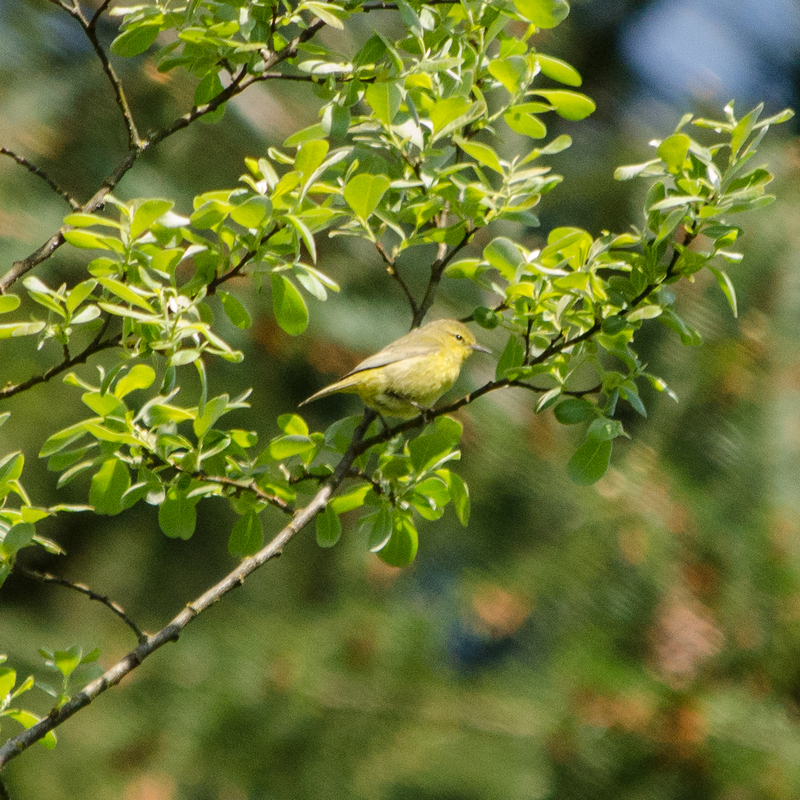 But this bird was missing the black markings and the movement just wasn’t quite right… Several minutes of stalking obscure movement and sounds of rustling revealed what had to be a warbler. This is always exciting to me, as there are just so many different warblers in the region and identifying them can often be tricky. 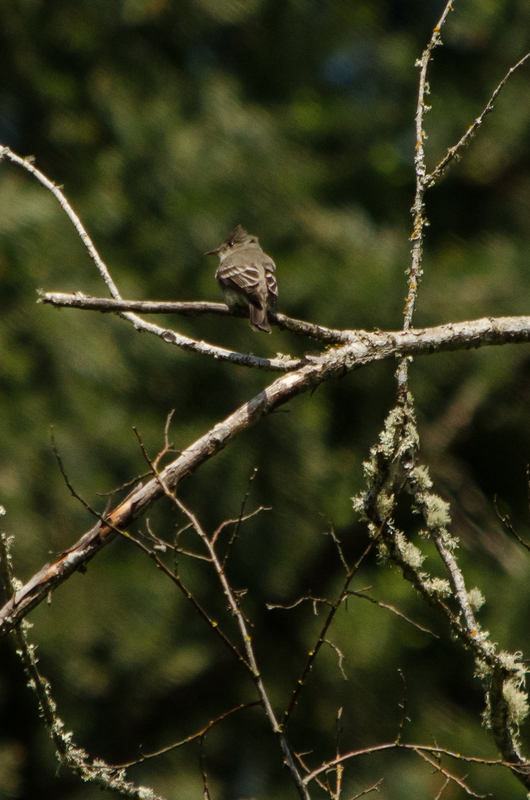 I enjoy not just tracking down and getting the photograph of the birds but then figuring out ‘who’ I saw afterwards. Already I knew this was something I hadn’t seen before. He (or she?) was shy, however… it took several more minutes before I got even a few decent pictures. Studying them and several references later, plus reaching out to the birding community for an opinion, it’s been determined that this addition to both my year and my life list was an orange crowned warbler. Quite pleased with this not-yet-identified warbler, I continued along the unpaved trails of the park towards one of the ponds near the parking lot; it seemed a good place to stop and sit for a snack. It was nearing afternoon and the activity was really dropping off, common at that time of day. As I was setting down my pack, a flash of movement above me drew my eye and I watched a large dragonfly chasing down its own meal. 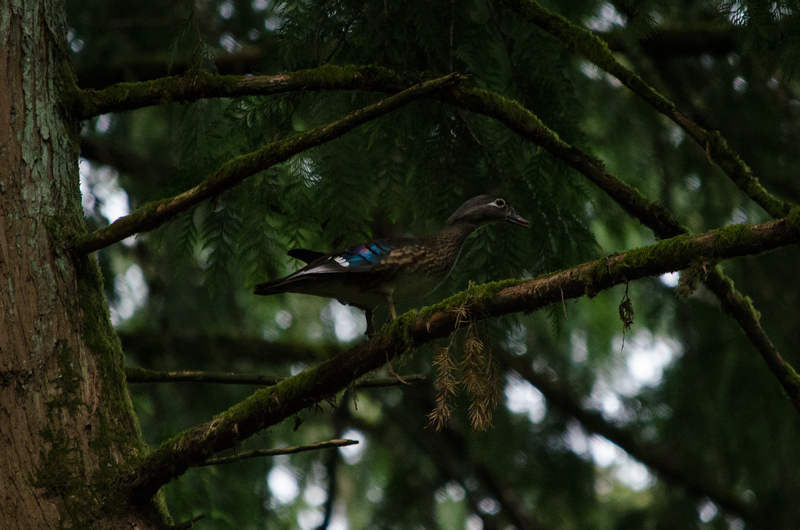 Then something much bigger flashed past my head…following the gray streak back towards a tree, I saw a little bird perched atop the dead branches overhead. I knew it had to be a flycatcher of some sort. A second new bird in the same day! He spent a good 20 minutes living up to the name ‘flycatcher’ while I snapped away with the camera. 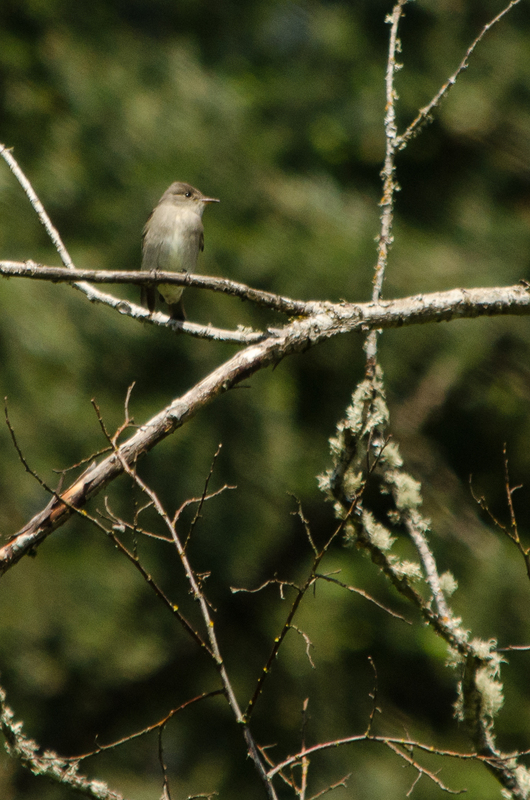 A bit of research once I got home has me convinced this was a Western Wood Pewee, and indeed, new to my year and life lists. Two new birds to my list plus fun with ducklings makes for a great day at the park! Some of my other sightings for the day included red-winged blackbird, Bewick’s wren, downy woodpecker, song sparrow… Oh, and lots of bull frogs! 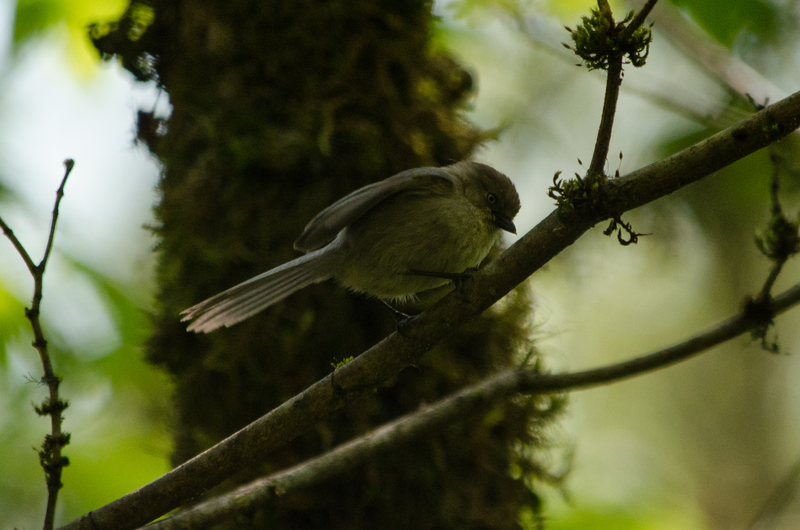 To find a little more information about Tualatin Hills Nature Park and other places for bird watching, including addresses and websites, check out my Birding Locations page.